Thirsty Thirty-Something Thursday #28 – Hmm…Italy again! Time for another edition of Thirsty! And I know it’s Friday, but why not change it up? 🙂 One would think that it is not difficult to find wines between $30 and $40, but sometimes it really is! And at this time of year, white wine is not at the forefront of everyone’s mind! But despite the cold, damp weather we’ve been having here, I find myself quaffing refreshing whites in the evening as I study Italian, watch TV or make cards. Of course I find myself falling back on my favourite country: Italy! Enter Vermentino…but not just any Vermentino! Vermentino loves coastal areas, so it does well in regions such as Liguria, Corsica, Sicily and Tuscany, but specifically in Maremma of Tuscany, where Fattoria di Magliano (Fattoria means ‘farm’ and Magliano is the region) in the town of Sterpeti, is just minutes from the sea, and we see a unique expression of this grape. In fact, one might argue that the best Vermentino(s) of Italy comes from Maremma. A rising star in the region, they are still young, starting in 1996 with 97 hectares of vines with first vintage being 2003. The owner at Fattoria di Magliano had a successful career in the footwear industry, but left it all to follow his dream of becoming a wine producer. I think with Italians, making wine is naturally in their blood…just sayin’! This wine has an intense medium lemon colour with strong aromas of yellow flowers, white peach, pear, and that strong hint of minerality. I love white wines grown by the sea because I always taste that saline tang, evidence of where the vines are located. The palate follows the nose with notes of peach, pear and apricot, and roundness due to some lees ageing on this wine, yet some nice, bracing acidity to keep everything clean and fresh. Perfect with soft cheeses, chicken, fish and of course fresh seafood, this is a beautiful wine through and through. On the shelf for $32.95! Salute! 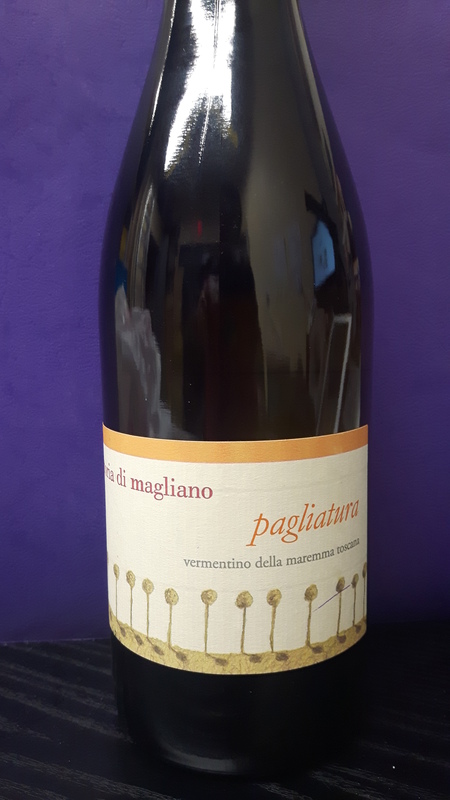 This entry was posted in Thirsty Thursday, Varietals and tagged coastal, fresh, grape, indegenous, Italy, Maremma, saline, seafood, seaside, tang, Tuscany, Tyrrhenian, Vermentino, white. Bookmark the permalink.